POS Innovation knows that when it comes to your retail operation, you need a point of sale (POS) software solution that streamlines workflows giving your employees more time to devote to customers, and you more time to manage your business. The Heartland pcAmerica solution offers the functionalities your business needs to remain competitive while helping you grow your bottom line. Our solutions are built with the heart of retail in mind—your customers. With tools for optimizing your marketing messages and growing customer engagement, pcAmerica helps you give customers the experience that builds loyalty. Ideal for many retail markets including convenience, grocery, gift, car wash, tobacco, liquor, book, discount shops and more, our industry-proven solution helps is backed by 24/7/365 support. Scalable to meet your specific needs, pcAmerica will elevate the way you do business today and in the future. Grow Revenue: Easily manage loyalty programs, collect and analyze customer data, and provide employees with tools for suggestive upselling and cross-selling of products. Control Costs: Save time and money by automating administrative tasks and optimizing inventory management across omnichannel platforms. Leverage Data: Data centralized into one location and accessible anytime anywhere, providing you with better business visibility to make the decisions that will increase your bottom line. Stay Secure: pcAmerica POS software is compliant with PA-DSS and is point-to-point encryption (P2PE) compatible. 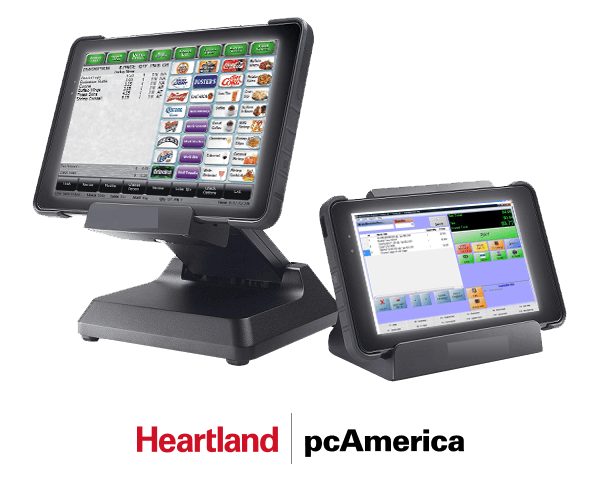 Heartland pcAmerica retail POS software offers versatile features that can be customized to the way you do business. Contact POS Innovation to see what pcAmerica can do for your business.